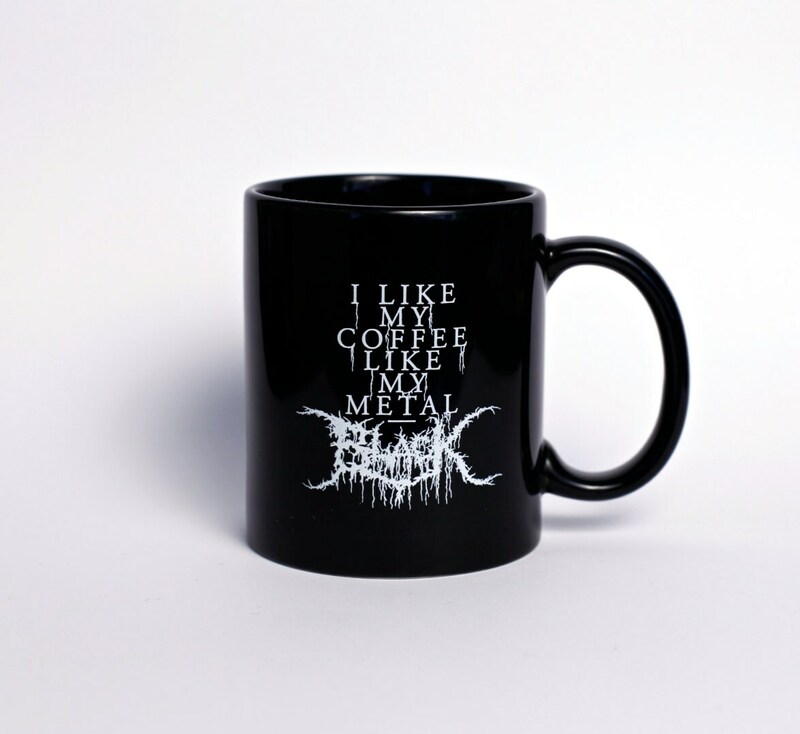 Lovers of Black Metal and Black Coffee rejoice... there is a mug to celebrate your combined love of all things DARK. This is a standard issue 11 oz. 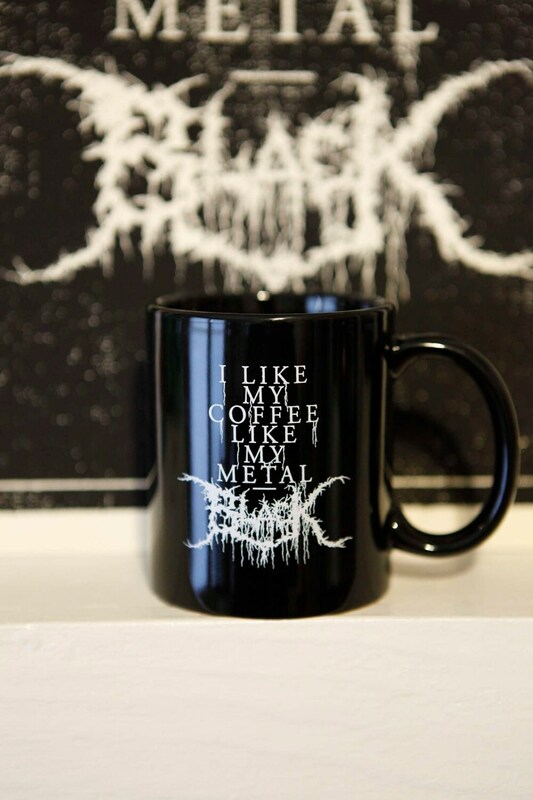 black coffee mug with white ink. The print is on both sides of the coffee mug so no mater if you're left or right handed, the world will still see that you are epic. 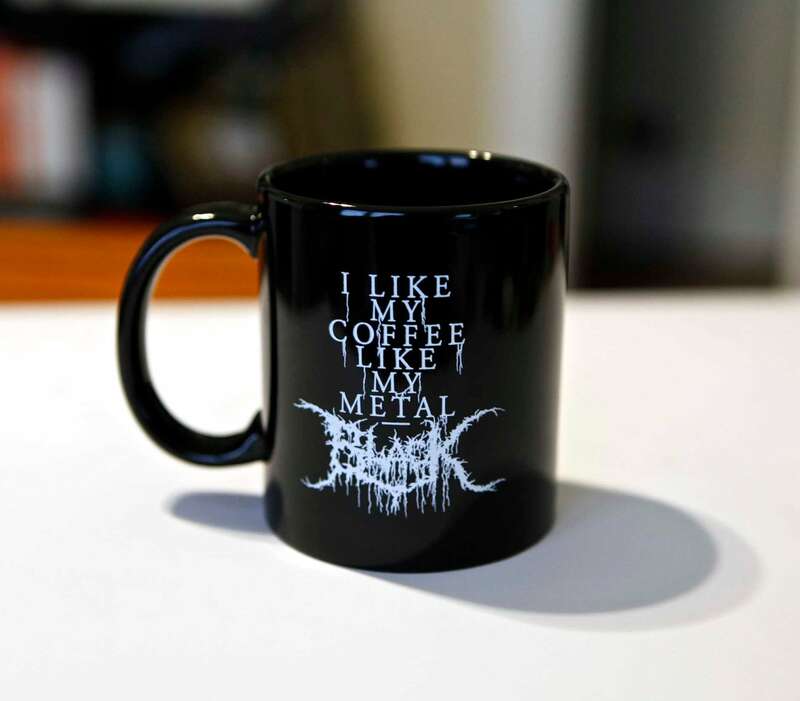 The mug is perfect and shipping was quick. Thank you! Love this mug, shipped quick and arrived in perfect shape. 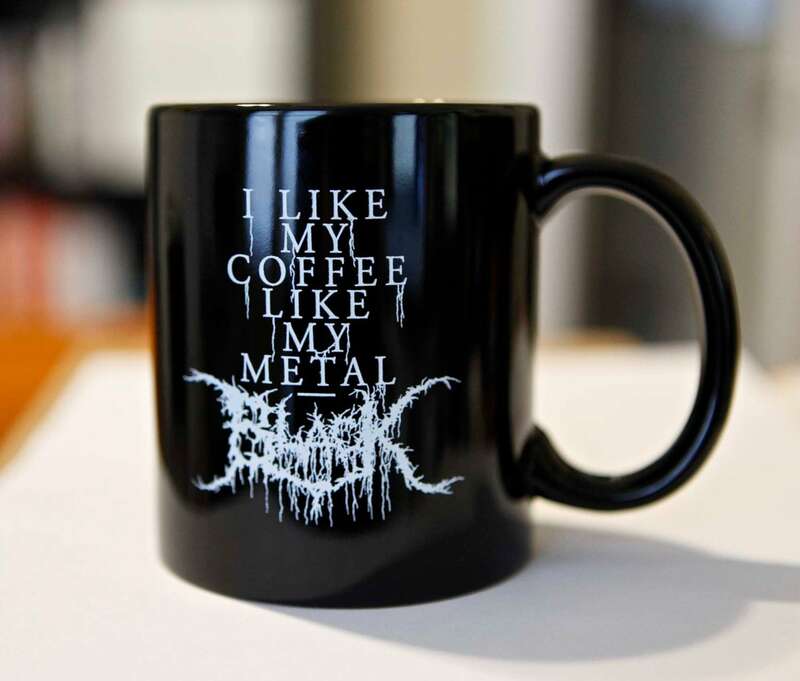 Great mug! I bought this for my husband several years ago when we first started dating and it became his favorite mug. The design wore off because he had run it through the dishwasher so many times (oops!) so I surprised him with a brand new one. It's great quality and it's perfect for the metal fan.